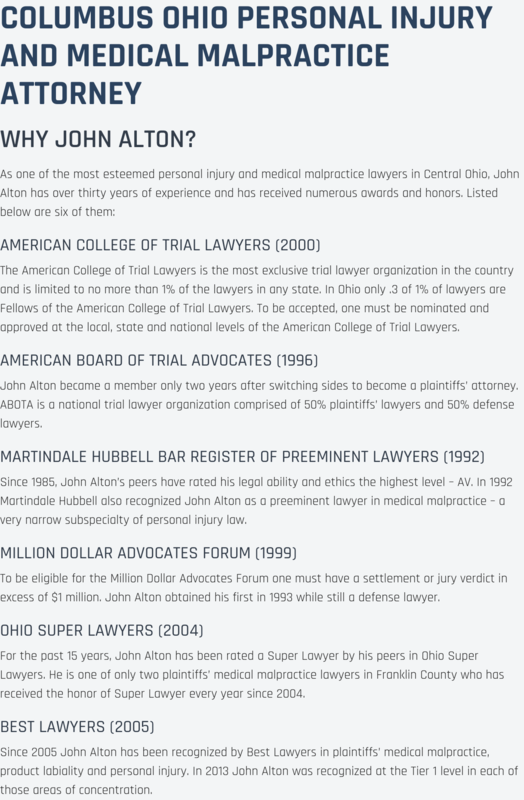 The Law Offices of John M Alton Co, LPA has extensive courtroom experience. When it comes to diving accident cases; I have a proven record of challenging even the most powerful opponents with successful outcomes. Every time I am in court on your Powell diving accident case, you can rest easy knowing that I am fighting for your interests. You will sleep better knowing that your diving accident case is being handled with the utmost attention to detail and skills to achieve the results you want. The Law Offices of John M Alton Co, LPA serves clients in the Powell area and is here to handle your diving accident case today. I want to make sure that your current medical and emotional problems due to your accident are less of an issue in your daily life. You deserve peace of mind and relaxation after dealing with any serious diving accident situation. You do not need the stress of additional bills piling up in your lap. I want to turn your problems into solutions in your daily life. 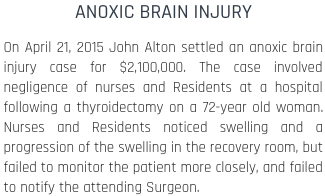 Allow The Law Offices of John M Alton Co, LPA to show you how our services can benefit your personal injury matter today. A serious diving accident case can have catastrophic consequences for you and your family. Besides physical pain and suffering, emotional pain can also be an issue. Economics plays a serious role too. You may not be able to work and may have mounting medical bills or other income issues. 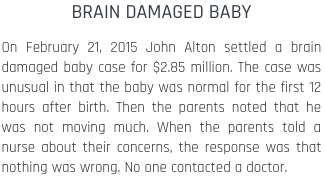 At The Law Offices of John M Alton Co, LPA, I will fight for your rights to get you the financial compensation you deserve for your pain and suffering. If you are in Powell or the surrounding area; schedule an appointment to meet with me to discuss your diving accident case. We provide our diving accident legal advice to anyone who is facing hard times in Powell. For those who prefer face to face meetings, we invite you to visit our offices located at 1071 S. High Street, or if you pref3er a simpler mehtod of communication we invite you to give us a call at (614) 221-6751 and learn more about what we can do for you.